The Meijer fall Simply Give campaign kicked off Sunday, August 20 and runs through Saturday, September 16 to help stock the shelves of our food pantry partners throughout the Midwest. The program has generated nearly $32 million – or 352 million meals – for food pantries to stock their shelves, thanks to the generosity of our customers and team members. 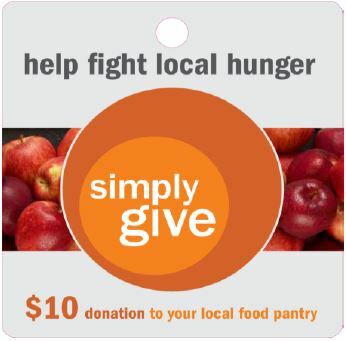 During each campaign, customers are encouraged to purchase a $10 Simply Give donation card upon checkout. Once purchased, the donation is converted into a Meijer Food-Only Gift Card and donated directly to the local food pantry selected by the store for that campaign.